My lashes are pretty sad. I’ve mentioned this in various places, so you may already know that. They are thin, sparse, stick-straight, and light. . . and I want are dark, thick, full, long, curled lashes. I’ve tried a lot of mascaras. A. Lot. And the one I always return to is Cover Girl Lash Blast. It’s the best. I’ve been using it for years. But for some reason I picked up this tube of L’Oreal Voluminous False Fiber Lashes the a few weeks ago. I try to limit my random mascara purchases since they tend to be utter failures, but somehow this made it into my basket at Target. Well it turned out to be pretty incredible. It’s not necessarily the cleanest finish, so it isn’t a swipe and go type of mascara. It’s a swipe, check clumps or fibers, swipe again slower, etc. Take your time with it. But it will bulk up even the puniest lashes. Trust me on this. But even with this new amazing mascara, I still apply two coats of Covergirl Lash Blast first. I found that only wearing Voluminous False Fiber Lashes doesn’t give me the same impact, and it’s a little bit more difficult to apply–occasionally a new swipe of mascara will pull off a fiber from the previous swipe. By applying a non-fiber mascara first, it seems like the fiber mascara sticks better. Plus you won’t need as many coats of it since you already created a good base. Since I loved this mascara so much, when I went back to purchase a new tube, I was tempted to try L’Oreal Voluminous False Fiber Lashes Mascara, Black Laquer. This is not as good. I will save this mascara for my bottom lashes because it did not do the same thing as the original False Fiber Lashes. I also realized that L’Oreal Voluminous False Fiber Lashes is really close to Mac’s False Lashes Mascara. I may even like it better than Mac’s False Lashes, but it’s been awhile since I’ve bought another tube of that kind. Also, Benefit’s They’re Real! Mascara? Not a fan. It will give you serious impact, but it is hard to apply. It seems like it dries as soon as it hits your lashes, and results in weird spider-y lashes. Alright, I think that is enough talk about mascara for one post. Let me say one more thing though. . .just because mascara works for me, or doesn’t work for me, doesn’t mean it won’t work for you. So if you try L’Oreal Voluminous False Fiber Lashes, make sure you keep your receipt! You know you can return cosmetics, right? Even if you tried it. I know. Changed my life a year ago when I discovered that. where can I find coupons for the Loreal mascara you tried? I have such a hard time finding mascara that works for me! You can try going right to the L’Oreal website to see if there are any printables. Also, they often have coupons in the Sunday paper inserts. They are pretty easy to come by. Here’s a tip to get mascara super cheap at Ulta…if you get Ulta’s $3.50 off a $10 purchase you can then add on a manufacture coupon. Great way to try mascara inexpensively yet still return it if it doesn’t work for you! I should have clarified that it’s the $3.50 of $10 dollar purchase coupon. I love Benefit’s They’re Real! mascara, but my lashes are really long already. I apply a coat, use a clean wand to separate, then apply a second coat and I don’t get any clumpy spidery stuff. I agree that it dries super fast. though. The tube seems to dry up quickly, too, so I’ve switched back to Lash Blast (old faithful for most people it seems) because it saves me money. The only thing I don’t like about Last Blast is that it seems to flake off throughout the day. Thanks for this post! I was just thinking this morning that I am in a mascara rut and need to find a good solid one. Think I will try the CG Lash Blast and get the L’oreal for times I need an extra punch. Love your blog! Keep up the awesome work! Have you tried DiorShow? AMAZING!!! Best mascara out there. I love it! I have tried it, but it’s waaaaay too heavy for my lashes! I wish it worked! Talk about good ole faithful stuff… Great Lash or Covergirl super thick lash. THE BEST! I had Dior Show in my hand and put it down.. Something made me buy Urban Decay super curl curling mascara. I like it a lot! I have sad lashes as well! It works great! I’m out so I think I will try the Dior Show this go round! Kate, have you tried UD? You may like it! Great post! my favorite splurge mascara is DiorShow! Agreed! Looks like false lashes for sure! 🙂 Love this stuff! I love all Loreal mascaras especially – Lash Out (similar to clinique super glossy) and Voluminous Million Lashes. Million Lash is awesome at building length and volume with a clean finish. LOVE it! I have a love/hate relationship with They’re real! I really like how it looks but I hate taking it off. I feel like it is a neverending search for the perfect mascara. If I had all of the money back that I have spent trying new ones, I could have developed my own by now!! Have you tried Clinique’s Lash Doubling mascara? I swear, it’s the best mascara I’ve ever tried!! I’ve tried a ton of them and I personally always go back to Fresh Supernova mascara. Its doesn’t go on to heavy and it also does not clump. Its not cheap, but its still my go to and I love it! I am similar to you thin, straight lashes that wont curl…I have used Loreal Voluminous line of mascara’s for years because I like the look it gives me, I do find its a bit too wet and doesnt apply as thickly when its new, but settles in nicely after about a week. It also seems to bother my eyes (picking at lashes) around 3 months which is my signal its time I need to buy a new tube..I have tried the Benefit Bad Gal mascara being told it was the best but didnt find it any better than my Loreal and its more than double the price so I went back to my usual mascara…currently I am using Voluminous Million Lashes and have a tube of Voluminous 24 hour Power in the drawer waiting to be opened.. I love that you posted all this great info about mascaras. I have never thought about applying one kind over another, but that’s such a smart idea. I use Lash Blast but now I want to try the False Fiber mascara over it, like you suggested. Benefit They’re Real is my favorite! Like Kate said, everyone varies! It really lengthens and volumizes!! Oh, also, I meant to ask you about eyeliner. Yours looks so good. I always wonder about whether to line the bottom. Looks like you line about halfway along the bottom – is that right? I had no idea you could return mascara! What stores? Target? Cvs? Crazy! ask at the counter when you are purchasing! I know for sure CVS lets you! Ulta is a great one as they keep track of all your purchases if you do their free membership program, so you don’t even have to have a receipt as they can look up all your past purchases from your account. I love this post! To me the most important make-up item anyone can own is mascara. If I do not have my favorite brand, I am pretty upset. I have tried both the Covergirl and the L’Oreal mascaras you mentioned. I liked them both but I prefer Maybelline mascara to both of them. I love the new Mega Plush mascara and it’s only $6.00! This is going to sound CRAZY but I use 3 different mascaras! I use Clinique’s Bottom Lash Mascara on my bottom lashes, 2 swipes of Sephora’s Lash Plumping mascara on my top, followed by another 2 swipes of Clinique’s Lash Doubling Mascara. I have been using it for years and always get compliments! If you look at my Google+ profile picture, you can see why I’m such a fan! I love Givenchy Phenomen’eyes. The want is a little different, but my eyelashes look great afterwards. If mascara gives you spidery lashes, it usually just means it’s dried out (even a new tube). Add a few drops of contact solution to your mascara tube and wait a day or so. It will thin it out a little bit and should go on better. It also disenfects it. Mascara is always my go-to cosmetic. I am an addict. What do you think of Maybelline mascara? I feel like they’re some of the best. They recently came out with Mega Plush and I love it. It gives your lashes a doe-eyed look. Really pretty. You should definitely give it a try if you haven’t already!! My all time favorite is One by One by Maybelline. It reminds me of Lash Blast from Covergirl, but for me its so much better! Kari! I love the one by one. It’s been my favorite for about a year, and I have never worn a mascara for a full year! lol I love that stuff! I also use a L’oreal mascara. I use the original voluminous flavor. I have used it for years. It is the best I have found. Do you return your the cosmetics you’ve tried to Target? If so, I had NO idea you could do that. I always thought you had to buy it somewhere like Sephora or CVS to return it after you’ve opened it. This is true. Target does not accept returns on makeup. Period. I hate that…so I don’t buy cosmetics from them that I haven’t tried already from somewhere else. I personally love L’oreal voluminous also. You can disregard my eyeliner question. I found your make up routine tutorial (conveniently under the beauty tab…) So helpful! Best mascara, hands down is L’Oreal Telescopic! I can’t use Covergirl because I’m allergic and my eyes get all twitchy on me. L’Oreal telescopic has a little comb so you can basically comb it on your lashes. It separates, adds length, and you can continue the coats until you get the thickness you desire. I’ve never ever had clumps with this one and I have a love for mascara, so I put coats and coats on. I used to be a fan of the regular L’Oreal Voluminous…but once I found the Telescopic, I haven’t gone back! Try it out and see what you think. My favorite as well! I have tried all the others and keep coming back to this! I use the Bad Gal Cosmetics Bad Lash with the Oh their real! And it takes some getting used to but if you apply it fast it has a lot of impact. I’ve learned though that the key is two coats and not of the “real” mascara. I had no idea you could return cosmetics…this is very useful information!! Thanks. I use CG Lash Blast….I have pretty long lashes but they are very light and it gives enough colour and bulks them up nicely!!! I absolutely love Maybelline’s One by One Volum’ Express. It’s my favorite mascara ever…I just build it up a bit and it’s perfect. I’m 41 and hate to say, but eyelashes only get thinner as you get older. UGH! My husband is 47 and he has the most beautiful thick lashes ever. What gives??? It’s funny that you post this as I was just playing around with Mascara this week. I usually use Benefit Mascara and I have had really good luck with it but it is soooo expensive I tried a L’Oreal Voluminous and I like it – gives me fuller looking lashes – but it doesn’t give me the length. I will have to give your combo a try! Mary Kay has a new Lash Building Serum that works wonders! Funny that you mention this! I’m in the same boat with itty bitty teeny weeny lashes and I just tried this mascara. I love your tip about layering first with a non fiber mascara! I’m gonna try that tomorrow! Any tip for bottom lashes where mascara tends to run leaving black smudges rather than staying on my lashes? Thanks for the tip! I have tried a few waterproof ones with no luck. After readin through the comments I might try waterproof lash blast. I’ve been using it for about a year as well and I LOVE it, they have a waterproof formula now too!! So excited to try it at my wedding. If anyone else ever want to try out the great Mary Kay mascaras I always offer free shipping! You must try “Two Faced Extreme Lashes!”. It was on the Today show ans Sephora can’t keep it in stock! It is 2 tubes and 3 steps. First mascara, then a tube of weird fibers, then mascara again! Wow!!! Funny that you don’t like They’re Real. I just did a post about how much I love it. But we are on the same page about the fiber false lashes, didn’t care for it. And the Covergirl Lash Blast love it. Just something about it that I keep buying tube after tube of it. I too can be a mascara junky, and I have found my favorite ever…marykay’s new Lash Love is amazing!!!! Wow, I really liked Benefit’s They’re Real! Mascara. My husband even commented on how nice it looked (and I think he HATES mascara, haha). It was kind of expensive though, so when the tube went bad I switched to L’Oreal Power Volume 24 Hour mascara and I LOVE it. My lashes are thick, defined, and long! (To be fair, my lashes themselves are probably long on their own, you just can’t tell since they are so pale they are practically clear.) I just tried the L’Oreal Voluminous Million Lashes mascara and I immediately returned it–it was too wet and didn’t give me any definition. If only I could find the Power Volume in black-brown. I worry about trying the L’Oreal Voluminous False Fiber Lashes, because that Blinc mascara from Birchbox was fiber, wasn’t it? That stuff was pretty bad–it didn’t do anything for definition or volume, which are definitely my mascara priorities. I was recently hanging out with my sister at the pool and she had the most gorgeous lashes… When I asked her what mascara she was wearing so I could pick up a tube, you can imagine my envy when she said “Who wears mascara to the pool? !” She definitely got lucky with her eyelashes. I love Benefit’s “They’re Real!” too! And I have never had luck with the drugstore brands, much to my budget’s chagrin. 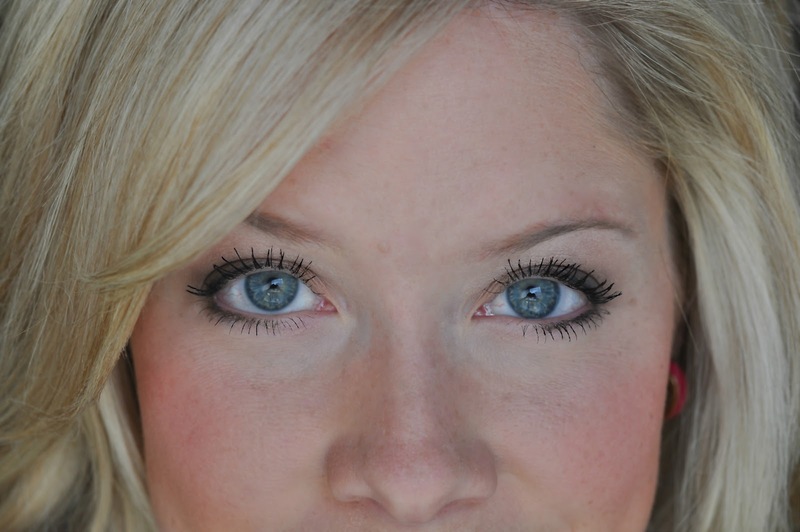 Try Too Faced’s “Lashgasim” mascara…it will change your life! I LOVE Aveda’s Mosscara. It stays on and washed off easy. Doesn’t bother my contacts and doesn’t make your lashes all hard and stiff. The BEST mascara: tarte lights, camera, lashes. It’s light, and separates each lash, and makes them look 5 feet long. If you haven’t tried it yet, I highly recommend it! Too Faced LashGASM mascara is my favorite!!! I’ve tried alot of mascara’s. My old standby is Great Lash by Mabeline… until I tried LashGASM! O.K. Try LiLash. It is a lash builder, sort of like Latisse. I got it from a friend who does facials, etc. It has made my lashes grow like crazy! Also, find someone who tints lashes. Get them tinted and then use mascara. Amazing difference!!! I love Sephora’s Atomic Lash!!! GREAT mascara!! I didn’t like the new Benefit mascara either. I really do like the Benefit Bad Gal mascara. I’ve tried every mascara under the SUN, and every time, I ALWAYS go back to the L’Oreal Voluminous–not the False Fiber, just the plain Voluminous formula. It doesn’t make my lashes one big clump, and it gives my sparse lashes SO much volume. I do two coats on top, one on the bottom. I get compliments on my lashes all.the.time. Hi! I’m a complete makeup junkie, so I love trying out new products. About a month ago, a Sephora artist talked me into trying a conditioner/primer by Dior called Doirshow Maximizer (lash plumping serum). LOVE IT! Really helps build your mascara. It’s a “must try” product. I got Blinc mascara in my July Birchbox and LOVE it! I never have any problems with clumpy mascara with this! No, it doesn’t clump, but it doesn’t DO anything for your lashes either. They’re just black instead of whatever color they were before. And it just looks like you have about 9 of them. Bleh. I put the Blinc OVER my regular mascara to prevent smudges in this heat! Hi Kate: I have pretty crappy eyelashes as well. I’ve tried a lot of different mascaras and some of my favorites are Lancôme’s Definicils and the maybelline falsies. The falsies make the roots look really thick, and the Definicils add definition and seperate the lashes. I think it’s a good combo for me. I don’t really have a hard time with this, but I’ve noticed recently that my technique makes a complete difference. I use Maybelline Great Lash. Not only is it almost one of the cheapest tubes, but apparently it’s been America’s favorite for over 40 years. I always see it in lots of different magazine’s “best of”. If I’m in a hurry, I will have normal lashes… if I take my time, do a few quick coats (2-3 just to cover the lashes), then I start really working on lengthening and thickening them with long deep strokes by starting all the way at the base of the lash, you can practically feel the wetness brush on the underneath side of your eyelid… work in the middle and work towards the outside. Sometimes I give it a little wiggle as I work my way up to separate the strands. Sometimes I bounce the wand on the tip of my lashes too to add length, then go back and do another swipe. I always get comments on my lashes and I don’t have baby thick lashes – just considered normal length. So, I have a few obsessions in this world and two of them are lip gloss (at one time I had 17 different lip items in my purse- I have trimmed the amount down) and the other is mascara! I have tried tons of mascaras- and not to sound conceited- but I have been blessed with some good lashes and I’m still obsessed with finding the BEST one. I have found the best mascaras are Diorshow and Diorshow Iconic Extreme. yes they are more spendy than maybeline (which I usually keep in my purse for the “just in case moments” that never happen). These two are totally worth the money though- seriously! I can swipe on the mascara and go and still look decent! Have you tried them? Kate have you tried Mary Kay’s volume mascara? It is AMAZING!!! I really think you would like it! It’s light but get’s the job done! And it goes on like silk! Thanks for the tips!! I also have thin, sparse, short, light nearly non-existent lashes and am always searching for a new better mascara. I’m also allergic to some, like Maybelline’s Great Lash. My current one (that I haven’t loved) is running out and I’m going to give these two a try! I love your blog! I love this post.. I have tried a million different mascaras.. A few favorites are lancome.. the definincils and the hypnose drama are both fabulous. Another one I love is mac zoom lash! Lash Blast has always been my FAVORITE. I also tend to throw a new one in my basket of goodies and am always disappointed. (I apply two coats of Lash Blast with all my new ones too!) Benefit, They’re Real! Is another one I use on top of Lash Blast! I’m a known mascara junkie. Love your blog! My go to is Origins Full Story, it’s a gel formula and never gets clumpy. I’ve been using Urban Decay’s Big Fatty lately and I really like it. I agree about They’re Real, spider lashes big time! I actually use two different types- the original Loreal voluminous mascara for the bottom layer and then the Maybelline (brand?) Lash Stiletto on top of that. Loreal thickens and gives volume while Maybelline adds length. This is the best combo I’ve tried for my pathetic lashes! You should try Revita-Lash. I assume you’ve heard of it… I have really stupid eyelashes too, and I started using it. It’s like $100ish, but it has lasted me a long time – like at least 8 months. Use that and the cool mascara, and BAM! You’ve got super awesome eyelashes! Bobbi Brown’s long wear mascara is the best. Makes my lashes look so long and last forever. Never flakes or anything like that. Cover Girl’s Lash Blast in the orange tube, in black — I keep five extras on hand at all times because I’m terrified of running out and having all the stores be out (happened once before, and I had to buy a different one until SOMEONE got new stock in again – scarred for life). LOVE IT, it’s THE BEST! And it’s cheap! I did a post in January with before /after pics of my eyelashes using LiLash I got for Christmas. Made all the difference and it’s one of the purest lash lengtheners. My eyelashes didn’t respond well to many mascaras before, but now any mascara works and makes a big differences since my eyelashes grew and look much less pitiful! Bare Minerals Flawless Definition mascara!!! Love it! I’ve been using Tarte’s Lights Camera Lashes and I am in love. It is a fantastic product. I love how they define my lashes, make them longer, and gives them more volume. It never clumps. It’s simply, the perfect mascara. I’m not the greatest at descriptions, but this video from emilynoel83 on Youtube I think describes how amazing they are, perfectly. I’m scared to step out of my mascara comfort zone. I’ve been using Maybelline’s Great Lash (the one in the pink & green tube) from day one. This fiber lash stuff sounds interesting. I might have to try your Cover Girl mascara… I LOVE Benefit’s They’re Real! but it’s so expensive, I don’t replace it as often as I should. I usually justify it by saying I don’t really wear makeup other than foundation, concealer and mascara so what’s one splurge but it’s always nice to cut costs! I never have issues with it drying fast or clumping, but I do have fairly long lashes. They’re just super thin and blonde so you’d never know it unless I wore mascara everyday! I’ve been using Almay’s Get Up and Grow for about 6months and I SWEAR my lashes are longer and thicker… I will never try another mascara! Skip the expensive lash serums and try the new one from Mary Kay, at only $38 and a 100% guarantee (well so does every MK product!). This one was tried and tested and found not only to be effective, but to not leave any discoloration like many that I tried that left a grayish discoloration at my lash line. OMG! Must skim comments. So, what’s your trick or best tool for separating those lashes after applying your mascara. Seriously. I’ve never had good luck with Cover Girl mascaras — I feel like they don’t cover well enough/thick enough? I’m currently using Maybelline Volume Express Falsies, which I like well enough. My all time faces though are Texas Lash by Cargo and Clinique High Lengths mascaras! I recently started using the Mary Kay lash serum and I have noticed a big difference! You can return makeup?? To ANY store?? I definitely did not know that! I love Lash Blast, also really like Maybelline False Lashes. Have you tried that? You can return used cosmetics to Target?! Where has this little nugget of info been all my life? After my favorite Max Factor mascara was no longer available in the States, I stumbled upon CoverGirl’s Professional Remarkable mascara in the purple tube. It looks plain and unassuming, but I love it! Good coverage per swipe and clump-free. I order it two tubes at a time from drugstore.com because it’s cheap (great coupons means it only costs about $3.50 per tube) and isn’t always easy to find in stores. I have a weird hangup about splurging on mascara (eyeshadow is a whole other beast), so this stuff is perfect! Holy cow- I LOVE Benefit’s They’re Real! I would wholeheartedly concur that it’s hard as nails to get off, but I don’t even use an eyelash curler anymore! I also use the CG Lash Blast on my “work makeup” days, but when I go all out, it’s They’re Real all the way! I LOVE BadGal lash sold @ Sephora. The only downfall is that it only comes in black, no black-brown, or brown. But it does wonderful things for my eyes! I haven’t tried this particular one, but I swear by Loreal Voluminous. I have been using it since I started wearing makeup and I have never, ever switched. It comes is a grey tube with gold letterinn…I promise you will not be disappointed with this purchase!! I tried Benefit’s They’re Real! and I took it back after one use. My lashes were so heavy and spider-like. Not cute. And one of the main reasons I tried it out was for the curling effect, which was none. I have been using Loreal’s Voluminous for years and years and now I’m sure I’ll never change. OMG I have used Cover Girl Lash Blast forever. I feel like it doesn’t ‘smear’ under my eyes. I have tried so many different options. Even the expensive department store stuff doesn’t work. I may have to give this one a try. Thanks! I agree with Benefit’s “They’re Real” total bust. I am loving bad gal lash and I have to admit, I when I get sick of mascara, I go and get lash extensions for $50. That way I only have to wear eyeliner. Have you tried Smashbox Hyperlash mascara? I got a free sample of it with my smashbox order. I love it! I use a couple coats and I’m good. Loreal Voluminous Million Lashes…great product! I looooove the new Mega Plush by Maybelline! I usually use CG Lash Blast but this brand is much better!! An absolute must to try out!! Ou tried any of their mascaras? I use the lash love…but would be interested to hear your thoughts! I have been in a mascara testing FRENZY the past few months to try to find something I liked, and I finally found two that I LOVE! My splurge love is Tarte’s Lights, Camera, Lashes – it gives volume, length, and it doesn’t clump – Its like having defined long lashes with lots of volume! For drugstore, I just recently found Almay’s Get up and Grow – the formula is just like Tarte’s. Both of them leave your eyelashes soft – they arent like stiff little twigs. Almay actually actually improves the condition of your lashes, which i love. I tried several mascaras from Loreal and they all flaked on me after about 6 hours – not a cute look. I tried Lashgasm mascara from Too Faced out of a gift set and it has seriously changed my life!! in fact everything eye related from Too Faced has been a fantastic find for me. I love the loreal beauty tubes mascara with the double ended applicator that includes a primer. I use two coats of primer and give it 10 seconds to dry then two coats of mascara. I have the puniest lashes ever and this stuff rocks. Plus, no raccoon eyes since the tubing mascaras don’t come off until you wet them with warm water and then they just come off in long strands. I will warn you though, just found out that Target is one of the few retailers that will not take back open beauty products. I can’t believe they’d adopt such a policy and I’m now wary of buying more cosmetics at target particularly non sealed products since I’m sure people have bypassed the policy by saying they never used it. Blegh. I read on Epic Beauty Guide that Castor Oil helps strengthen and grow lashes naturally. I use Coconut Oil to remove my make-up and I feel like that really helped my lashes grow! Without mascara they are basically invisible, but the actually lash hairs have grown a little. After reading this post there are about 75 mascaras I need to try!!! Wow! I go back and forth between Loreal Voluminous and Benefit They’re Real. I didn’t like the Benefit mascara at first, AT ALL, but once I worked with it a little bit I’ve been able to get a much better look that I’m happier with. WOW…so funny you would have written this as I usually wear Lancome’s Definicils and thought about buying a cheaper version for a change (I’ve used Lancome for 10yrs+ and the one time I switched to Cover Girl’s Lash Blast I couldn’t handle the odor…what the heck do they put in that stuff?) I hear TONS of folks rave and rave about that one as a cheap option, but NEVER again for me. I’m glad to see that you’re not too fond of the Benefits “They’re Real” b/c I was just about to buy it when I saw L’Oreal’s Voluminous Millions Lashes was 50% off at Ulta so I thought I’d give it a go. I have SUPER long lashes that hit my lenses when I wear sunglasses or regular glasses and always curl them with a metal curler. Haven’t worn it yet, but I’ll let you know how it goes! I had no idea you can return makeup. Great, money saving tip! Thanks! I love lash blast water proof but have a hard time getting it off. Anyone have any good remover suggestions? I love Cliniques but its a little pricey. I have tried neutrogenas and alamys with a lot of lost lashes and very red irritated eyes!! Same here! I felt like there were so many lashes on the cotton ball by the time I could get all the mascara off. Any good eye makeup removers out there? I have found the best way to remove a waterproof mascara is with good old baby oil. Sephora makes a pretty good waterproof make-up remover too. Just make sure to use it BEFORE you wash your face because it is oily. Takes it off like a charm and no lost eyelashes. I’m with you on the sad eyelashes, mine are super short! I’ve used Cover Girl’s Lash Blast, but these days I’m loving Maybelline’s Mega Plush mascara. WHAT!!! You can return cosmetics!!! Is that in all states…I had no idea…this changes EVERYTHING!! Also I use Covergirl Lash blast too. Kate, you should ask your girlfriend about Mary Kay’s lash building serum and lash primer! They are awesome!! I LOVE Maybelline’s Full ‘n Soft waterproof mascara. It separates the lashes nicely- I’ve never had a problem with them clumping together. It also keeps your lashes fairly soft to the touch and holds a curl. I sometimes have a difficult time finding it, but have found it more often at a CVS or Rite Aid. Looks like you are not the only out there with not as full lashes. I have been using Latisse for about a year now – and I am addicted to it! My lashes does not look as full as your photo but they have grown in length and in fullness. Now when I wear my mascara (my favorite is Bare Escentuals Voluminous Mascara), they look a mile long. I always gets compliments on my lashes which cracks me up since I had none! I might have to go and give this one a try since it is probably a lot cheaper than Bare Escentuals. I just tried the Benefit one….I love the look I get IF I apply it very slowly and carefully. Let’s just say that doesn’t happen often with a 2 year old at my feet so i’m left with spider looking eyelashes! YIKES! However, I can’t bring myself to just toss it because of what I spent on it! You should try Clinique lower lash mascara. Its awesome. It defines every single lash and wears allday. No smudges are smears. FABULOUS!! Have you ever tried Mally’s Volumizing Mascara? I was just curious of your opinion/experience if you have tried it. I love: Revlon Fabulash, Almay Get up and Grow, and Hard Candy Lashaholic. I don’t get them in the wateproof versions because I think waterproof mascara is soooo hard to get off. WOW! There are so many comments on this post so I doubt you try this but I did feel compelled to tell you about it anyways. haha! I am always trying different mascaras in hopes of finding one that I really love and that will create the illusion of longer lashes. Well, I picked up Rimmel London’s Lash Accelerator one day and to my suprise, not only did it make my lashes longer when I have the mascara on but it also made them grow! So now I have longer lashes even when I have no mascara on… When I started noticing it, I thought that was pretty strange so I checked the tube and it has some sort of “grow-lask complex” in it. Anyways, the point is – it’s pretty amazing! Ok, I know there are a lot of comments on here. If you do happen to read this, I suggest Avon mascaras. I find that they don’t smear, and they aren’t too chunky. the super shock is great for volume and it doesn’t clump up. Kate- have you ever tried Mally’s Volumizing Mascara? IT IS AMAZING!!! I have used it for a while now and still can’t believe what it does to my lashes. I have had friends try it as well (who all have different lashes) and everyone freaks out when they see how amazing it works! I started using Rapid Lash (a Latisse-type knock-off) in May and my lashes are amazing now! It is a clear gel that you apply like eyeliner every night before bed and after about 2-3 weeks, I started to notice a big difference in the length/fullness of my lashes. I paid $30 for a tube on Amazon and I’m still using the first one. I would recommend this to anyone!! I use Benefit BADgal mascara and I love love looove it! Kate is there a certain lash curler you use? My lashes are stick straight as well and I cannot find a curler that works well enough! I’m with you here – it’s so hard to find a good mascara! And I agree – it can be different for everyone. My favorite is the same as yours – CoverGirl Lash Blast. I always get the Fusion for volume and length. My other 2 that I rotate in are L’Oreal’s Double Extend – that’s also one of those tube mascaras so I wear this one when I know I need extra staying power. I also notice that this one can be clumpy, like you noticed. I also love Urban Decay’s Big Fatty mascara. That one’s a bit more dramatic than the Lash Blast. If you haven’t tried that one, you should look into it! I was returning a Bare Mineral’s mascara in Macy’s where I was talked into the “They’re Real” mascara from Benefit. Like others I here – I was not a fan. I have spent more $$$ than I care to admit on mascara, the only one I have been satisfied with (tho not completely) is Fresh Super Nova. I am 60 so my eyelashes have diminished considerably from when they were one of my assets. I am going to try Cover Girl and Tarte. I will let you know. I love love your blog. thank you! I second the recommendation for Laura Mercier Full Blown Volumizing Mascara. It is amazing. Lengthens without losing the volume and very easy to work with before it dries and “sets” to get the look you want. I’m new to your blog. I found it when I typed in hair style blogs in google, and I’ve been hooked ever since. I tried this mascara based on your recommendations and I’m in love. I have a tough time with mascara because my lashes are very short and thin. I tried it with lash blast and found amazing results. Thanks. I am fairly new to this blog, but I simply must add my 2 cents about this mascara. I hate it. Sorry. I took it out of the package and was excited to see how it worked. I got my first big disappointment when I opened the tube and pulled the brush out. I thought perhaps I got an OLD tube because it was sooooo dry. It was one big clumpy mess on the brush. I put it on over a coat of good old Maybelline (pink and green tube)and then proceeded with my trusty straight pin to try and get my lashes separated and get the clumps off. After fighting the clumps, I thought I was pretty much done. My lashes did appear darker but I think that was because my sparse lashes were unnaturally clumped together! The rest of the day was spent wiping black flakes off of my cheeks. great post….. but I found that Target would not accept my cosmetics return used or just the oops I bought the wrong shade I thought I had at home…….. I bought Benefit They’re Real! and I had the same problem with it. It was hard to work with. My absolute favorite mascara is Avon SuperShock. You should give it a try. Diorshow makes my lashes go from plain, almost nonexistent lashes to long thick and curled lashes!! It’s awsome don’t think I will change it for years, maybe you should give it another try. Kate, have you ever tried LiLash? I got it at Peerless Beauty Supply (I’m not sure if they have that chain out in your neck of the woods) but it’s a concentrated eyelash serum, comparable to Latisse. And can I say…WOW. It is INCREDIBLE! I get asked all the time if I either have eyelash extensions or am wearing falsies, my eyelashes are just that thick and long, and I’ve only been using it for a month. Apparently you get your full results by three months of usage. Anyway, I bet you’d love it and it’s always worth a try! Love CoverGirl Lash Blast! I agree that this mascara is definitely a staple. I layer a brown/black with L’Oreal’s Voluminous Dramatic Volume Building Mascara in Carbon Black, and let me tell you, it’s life-changing! There’s something about these two brands mixed together…bareMinerals mascara has also been a great go-to. gone, and it was four weeks in before I noticed any significant change.I am now at five weeks and some of my eyelashes are ridiculously long, and they have thickened up. Just persist, its not an overnight miracle, but the results when they arrive are really worth the wait. I will definitely be buying this again as well as recommend it. Absolutely agree on the “they’re real” mascara — hard to get off, dries really fast and makes my lashes look weird! I found the best mascara ever! It’s Younique 3D fiber mascara! Blows any department store or drug store brand away…3 easy steps and you get the look of falsies or extensions! Yes, I am a presenter for the company, but it is seriously the best mascara on the market! And it comes with a money back guarantee! I just got this stuff and I LOVE it!! !